I love those jeans on you! Super cute. I like so muhc thos casual look! you are radiating in the 2nd picture! did you use flash or is that sunlight? seriously so pretty! You're so dewy and glowing. I love it. Great scarf...you look so pretty! Rock & Republic jeans are my favorite because they're so long!! Oh and I love the jacket. Casual yet very cute! 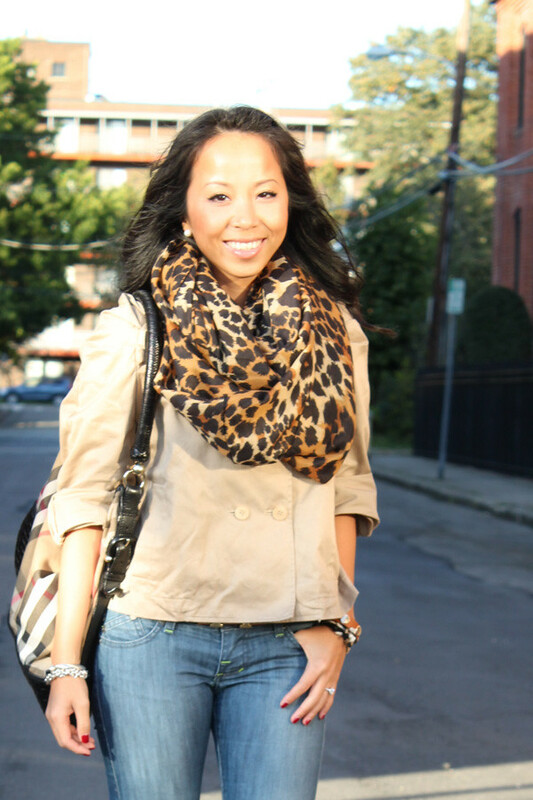 loving the leopard print scarf!